We conduct research in many areas related to public policy. These are some of the main areas of focus. 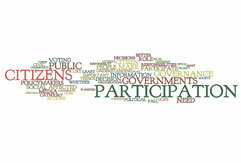 Participation is an umbrella term including different means for the public to directly participate in political, economic, management or other social decisions. Ideally, each actor would have a say in decisions directly proportional to the degree that particular decision affects him or her. Those not affected by a decision would have no say and those exclusively affected by a decision would have full say. Likewise, those most affected would have the most say while those least affected would have the least say. Rakshak is striving to inform the interested citizens about various important issues by holding seminars addressed by the topmost authorities and experts in those fields. Citizens get an opportunity to raise questions and seek clarifications from the speakers. Education is the process by which society deliberately transmits its accumulated knowledge, skills and values from one generation to another. 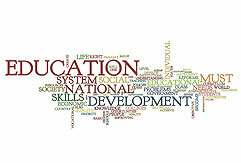 The role of education in facilitating social and economic progress is well recognized. It opens up opportunities leading to both individual and group entitlements. Education, in its broadest sense of development of youth, is the most crucial input for empowering people with skills and knowledge and giving them access to productive employment in future. Improvements in education are not only expected to enhance efficiency but also augment the overall quality of life. Education is not just one of the but the most important domain of our national life. Needless to reiterate that education holds the key to development and progress in every sphere of our existence. From an integrated and synergic viewpoint, educational system constitutes the foundation of the legal, administrative, civic and developmental domains of unfolding India of tomorrow. The objective of what is known as the Macaulay System of education was to inject an inferiority complex in the minds of students and create a class of people ‘Indian in colour but European in culture’. The objective of national education should be to develop an army of proud and independent Indians striving to achieve creativity and excellence in all walks of life and making the youth of the country emerge from the portals of the colleges and universities with a spirit of supreme confidence in himself and in his nation with an awareness that he has something to offer to the world must become the goal of our education. Rakshak is contributing its modest resources to achieve the above objective and hopes to inspire educated youth in large numbers to put some of their energies to Nation Building. 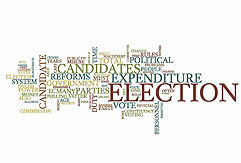 Elections grant people a government and the government has constitutional right to govern those who elect it. Elections are the central democratic procedure for selecting and controlling leaders. Elections provide an opportunity to the people to express their faith in the government from time to time and change it when the need arises. Elections symbolise the sovereignty of the people and provide legitimacy to the authority of the government. Thus, free and fair elections are indispensable for the success of democracy. Electoral laws in India have many loopholes. Unfortunately, over the years, India’s various governments have not been serious in addressing electoral reforms. The Indian Constitution sets the eligibility of an individual for voting. Any person who is a citizen of India and above 18 years of age is eligible to enroll as a voter in the electoral rolls. It is the responsibility of the eligible voters to enroll their names. Normally, voter registrations are allowed latest one week prior to the last date for nomination of candidates. Section 20 of The Representation of the People Act (RPA)-1950 disqualifies a non-resident Indian (NRI) from getting his/her name registered in the electoral rolls. Consequently, it also prevents a NRI from casting his/her vote in elections to the Parliament and to the State Legislatures. Several civic society organizations have urged the government to amend the RPA act to allow NRI’s and people on the move to cast their vote through absentee ballot system. Rakshak desires to work with like minded individuals and organisations to work towards the ideal of seeing honest, dedicated and able citizens to get elected through the Electoral Process. Rakshak Foundation strives to create awareness about the importance of respect towards the environment and natural resources. We must not take the environment and natural resources for granted. With increase of population pressure, we are putting unprecedented and unnatural load on the environment. 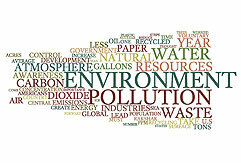 Rakshak is in the process of organizing a campaign to create awareness about importance of respecting the natural environment and ensuring the each one of us could educate and convince few citizens to get by using less and less of these resources and not to waste them. Man is an integral part of the natural environment and owes his existence to wise use of resources for sustainable development. Today the delicate ecosystem of our planet is facing a danger of destruction on a scale as never before in the history of mankind. In the mad race for development man has been ruthlessly consuming natural resources and polluting the environment. There is a direct relationship between environment and the economic development of the country. Implementing environmentally responsible investment strategies into the management of public funds has yet to take off, though it is a growing trend with forward-thinking institutional investors globally. Rakshak plans to initiate poster and lecture campaign that seeks to influence the political process by research, awareness, activism, and education in order to protect natural resources and ecosystems. Rakshak Foundation believes that Health is a resource for everyday life, not the objective of living. Health is a positive concept emphasizing social and personal resources, as well as physical capacities. Well being and health of citizens is imperative to the progress of nation. World Health Organization (WHO), in 2006, defined Health as being “a state of complete physical, mental, and social well-being and not merely the absence of disease or infirmity”. Health is maintained and improved not only through the advancement and application of health science, but also through the efforts and intelligent lifestyle choices of the individual and society. Health promotion is the science and art of helping people change their lifestyle to move toward a state of optimal health. Optimal health is defined as a “balance of physical, emotional, social, spiritual, and intellectual health” (O’Donnell). Rakshak Foundation work on ‘Health and development’ tries to make sense of the complex links between Health, Poverty, Education and Development. 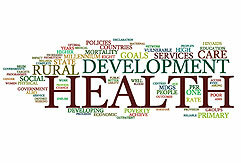 It is concerned with the impact of better health on development and poverty reduction, and conversely, with the impact of development policies on the achievement of health goals. In particular, it aims to build support across governments of developing countries for higher levels of investment in health, and to ensure that health is prioritized within overall economic and development plans. In this context, ‘health and development’ work supports health policies that respond to the needs of the poorest groups. (8) Develop a global partnership for development. Rakshak Foundation intends to focus on the related issues to help achieve the ideals enshrined in the Universal Declaration of Human Rights and our Constitution. 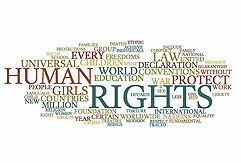 Human rights proponents assert that all human beings are guaranteed certain rights ranging from the right to life and freedom from torture to socio-economic rights such as the right to healthcare and education. The introduction of human rights is a fairly new phenomenon and can be traced back to the French revolution. The modern foundation of what people now view as human rights and the basis of 60 separate human rights instruments was established in the United Nations Universal Declaration for Human Rights (UDHR) on the 10 December 1948. Transparency, as used in the humanities and in a social context more generally, implies openness, communication, and accountability. It is a metaphorical extension of the meaning a “transparent” object is one that can be seen through. Transparent procedures include open meetings, financial disclosure statements, freedom of information legislation, budgetary review, audits, etc. The right to demand information is fundamental to building trust among citizens and the state. It is a right that acts as an instrument to allow citizens access to fulfill other cultural, economic and social rights such as the right to education, to food, to work, to self determination. When citizens are denied their right to know, corrupt officials can act with impunity. When the media cannot report the facts due to government control or censorship, this right is further harmed and opacity strengthened. Information is oxygen for democratic society. Government is like an agent of the public. So citizens have a right to know about the activities of the Govt. Further, every citizen pays taxes. The citizens, therefore have a right to know how their money was being spent. The business of government is not an activity about which only those professionally engaged are entitled to receive information and express opinion. 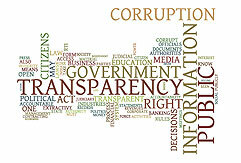 Accountability and transparency require independent media, independent judiciary and active, powerful civil society. Rakshak is striving hard to bring about transparency by working with Government agencies on the one hand and enlightening the public on the other.